Honda CRF1000L Africa Twin price in Mumbai starts from Rs. 13.50 lakh (Ex-showroom). CRF1000L Africa Twin is available in only 1 variant. 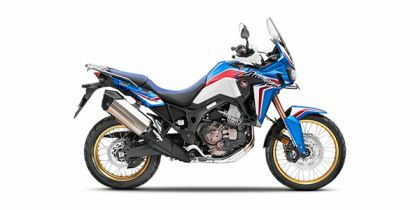 Honda CRF1000L Africa Twin's top competitors are Triumph Tiger 800 (price starting at Rs. 11.76 lakh in Mumbai) and Suzuki Hayabusa (price starting at Rs. 13.80 lakh in Mumbai).